Whenever I go on Facebook, I’m always presented with articles by other IELTS websites that try to teach their students really bad shortcuts to IELTS success. Sadly, there are no shortcuts – after all, IELTS is a test of your English skills, and you can’t fake fluency. Why Do People Say Idioms are Important? Although they should know better, most students want shortcuts, and most teachers want to help their students to succeed by giving them shortcuts. Really bad IELTS training schools teaching what I call “IELTS phrases,” which are memorized phrase that don’t really sound right to a native speaker’s year. However, IELTS examiners hear them all the time and they hate them! But it’s easy for students to memorize vocabulary and phrases. It makes them feel accomplished. So IELTS trainers keep feeding their students “IELTS vocabulary” to make them feel like they are really learning something. However, this doesn’t make sense. It’s just a cheap ploy to get students’ money. As a result, you often see lists of “essential idioms for IELTS” that really don’t improve your English at all. Idioms are colloquial language forms and in the IELTS you’re mostly going to be using academic language, so idioms aren’t much help. Most idioms aren’t the sort of thing an IELTS student is expected to know, so you won’t hear many of them in the listening or writing. You may get some points for using an idiom in the speaking exam correctly, but if you use it slightly out of context, it’ll sound weird. What’s more, many idioms are also cliches. That means, phrases that are said too much. Examiners hate to hear this stuff, so don’t do it! What you do need to be able to do is have a good basic grasp of English. Learn words through collocations rather than in isolation, and learn short phrases from appropriate sources. Don’t think that you can beat the system by memorizing idioms. Ok, so idioms aren’t totally useless… We do use them a lot in English; just not in an academic context. You should pay attention when you hear them and figure out their meaning from context, but just don’t believe those who say you can boost your IELTS score by learning them. 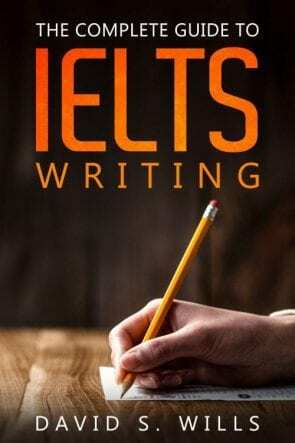 They might just help you in daily life, but not in the IELTS exam.